I took this idea from “Madame Writer” – please visit her HERE to see her responses. One I started a couple of times but didn’t like and never finished is Thackeray’s Vanity Fair. 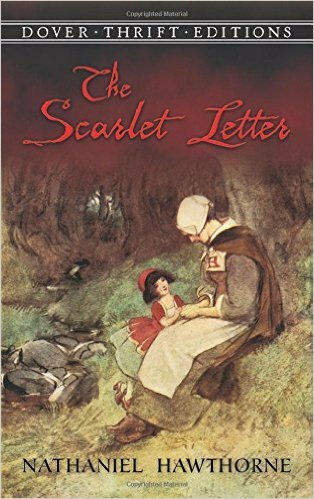 I especially like to read about the medieval period, but we are talking classics here, not Historical Fiction, so I’d say the 19th Century from Jane Austen, the Brontë Sisters and Mrs Gaskell through Dickens to Conan Doyle, Bram Stoker, Nathaniel Hawthorne, Tolstoy, Kipling and the rest. 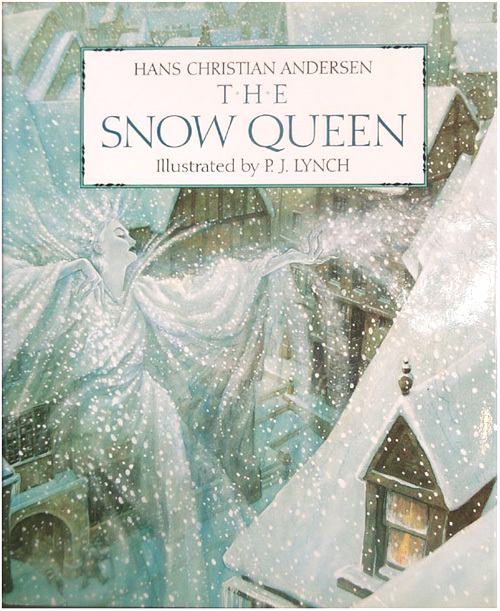 Hans Anderson’s The Snow Queen. Tolstoy’s War & Peace – though I’ve read his Anna Karenina twice, and loved it. I’ve read two so far of Martin Davies’ series featuring Sherlock Holmes’ housekeeper Mrs Hudson and young Flotsam (Flottie), the girl she has taken under her wing. Highly recommended! David Suchet’s definitive rendering of Agatha Christie’s Hercule Poirot – the books being classics, surely, by now. 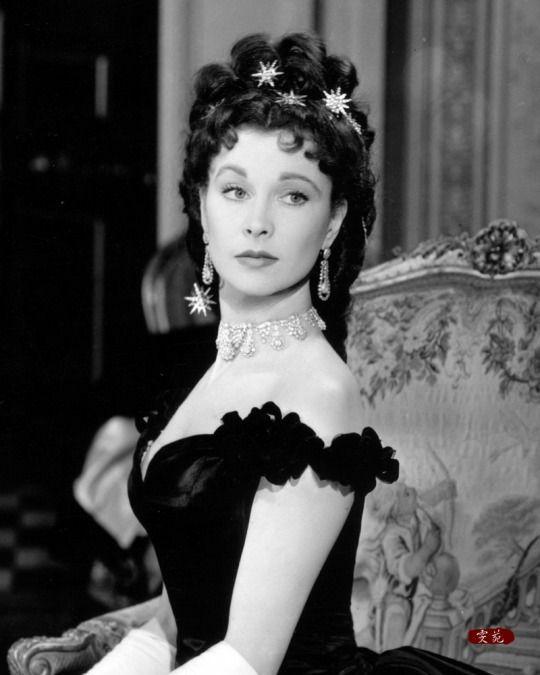 Also Viviane Leigh as Anna Karenina in the 1947 black-and-white film. Maybe The Hitchhiker’s Guide To The Galaxy (2005) but that is almost impossible to adapt successfully to the screen – it started as a radio programme with all the freedom that medium gives the writer. It leaves everything to the listener’s (or, later, reader’s) imagination, while a film version is simply how one person’s visualised it with all the constraints and limitations of that medium. 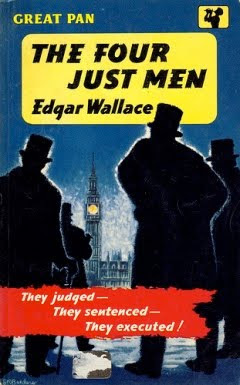 I love the Everyman’s Library editions. Click on the ikon! 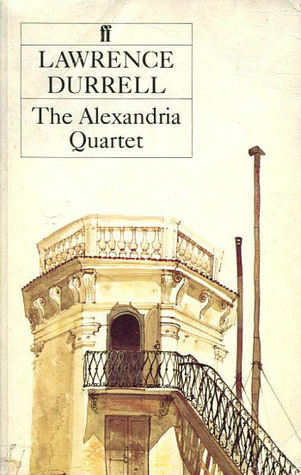 Laurence Durell’s Alexandria Quartet – in my view one of the greatest works of the 20th century. Durell’s poetic portrayal of Alexandria in Justine, Balthazaar, Mountolive and Clea ranks right up there with Joyce’s portrayal of Dublin in Dubliners and Ulysses, and personally I much prefer it. 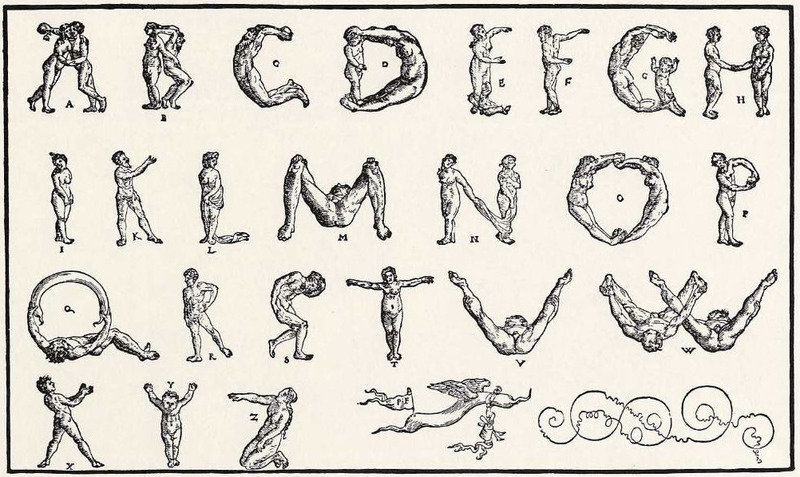 I took this very nice idea from mrsrobinsonslibrary.wordpress.com – please visit her there to see her A-Z. 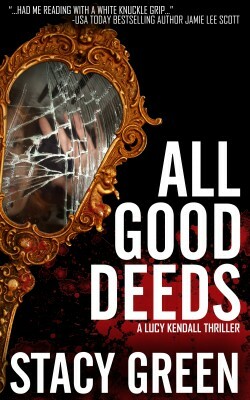 A – Author you’ve read most books from: Paul Doherty, without question. 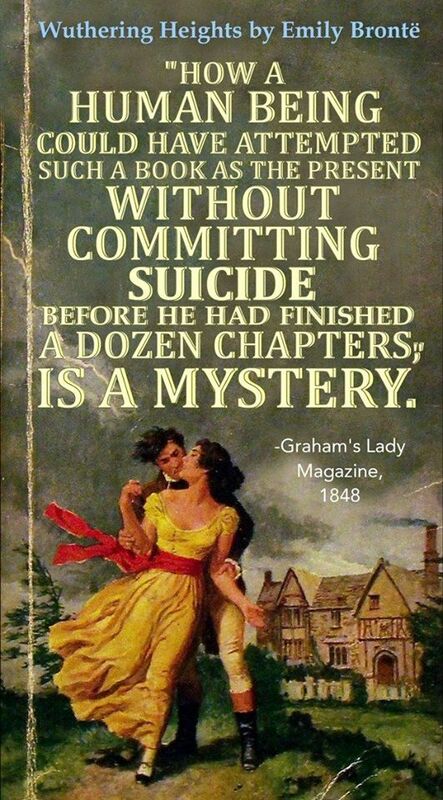 I’ve read one or two of his books set in ancient Egypt and I like and recommend his books set in the Rome of Constantine the Great and Helen – see for example my review of Murder Imperial and The Song of the Gladiator – but it is his medieval mysteries I am addicted to. They consist, apart from one or two stand-alones, of three series, each its own little world within a world and quite unforgettable: The Sorrowful Mysteries of Brother Athelstan; the Hugh Corbett Medieval Mysteries; and the Canterbury Tales of Murder and Mystery. 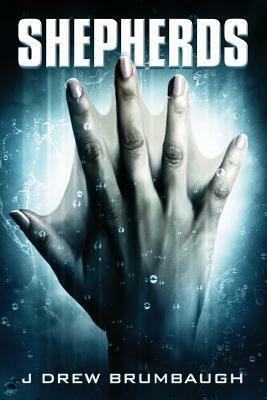 The links are to my reviews of one of the books from each series. B – Best sequel ever: for me, this has to be The Lord of the Rings, originally conceived and written as a sequel to The Hobbit. It won my vote for Book of the Century in the year 1999. D – Drink of choice: While reading? A cuppa – a nice cup of tea, English style. E – E-reader or physical book? I’m growing accustomed to my Kindle Reader, and it is much lighter (less strain on the wrists!) than the hardcover editions I love. Cheap paperbacks I’m not fussed about and I rarely buy new ones now, though I do buy secondhand ones when I come across something I fancy by chance somewhere. 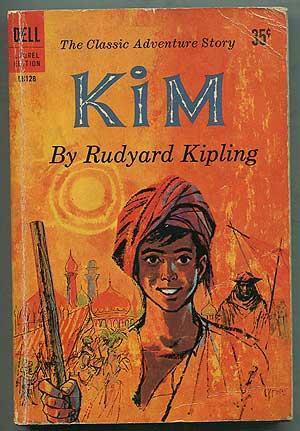 F – Fictional character you would probably have dated in High School: Rudyard Kipling’s Kim. I loved him when I was a child and I love him still now. 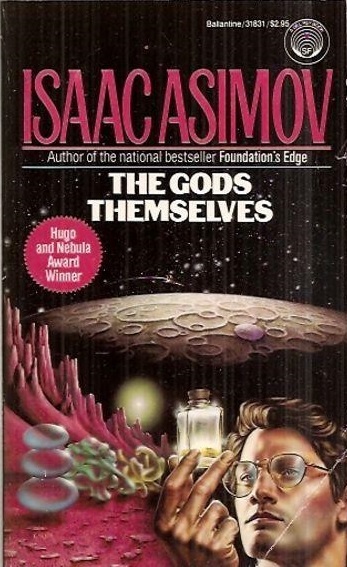 G – Glad you gave this book a chance: there have been many, but a good example would be Dune: House Atreides, and all the rest of the books written by Frank Herbert’s son Brian Herbert and Kevin J. Anderson and set in the Dune Universe. People were sneering about that first one, but I gave it a chance and have since read all their Dune books. I – Important moment in your reading life: Coming across Ellis Peters’ Brother Cadfael quite by chance (I think it was One Corpse Too Many) triggered my lifelong love of the Medieval Mystery. J – Juvenile favourite. Mine is probably Kim (see “F” above) but there are many others I love, from Hans Anderson’s The Snow Queen and Kingsley’s The Water Babies to the Harry Potter series and the His Dark Materials trilogy. K – Kind of book you won’t read: books by illiterate “authors”, either unedited or “edited” by illiterate “editors”. 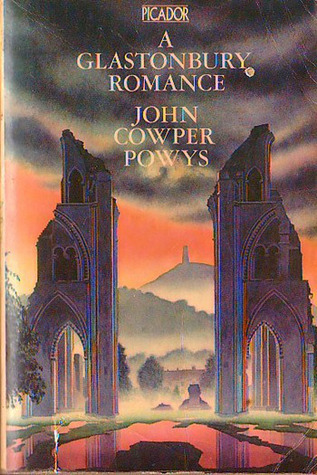 L – Longest book you’ve read: A Glastonbury Romance by John Cooper Powys. I have read all 1, 120 pages twice but still haven’t got round to writing a proper review! M – Major book hangover because of: Lin Anderson’s Easy Kill. Read my review of it here and you will see why it moved and upset me. 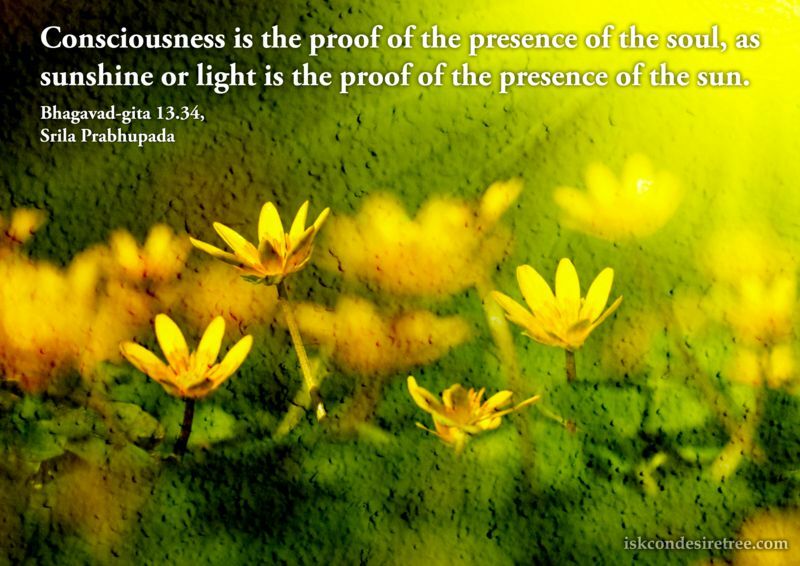 O – One book you’ve read multiple times: The Bhagavad Gita. P – Preferred place to read: The beach in summer or when I’m travelling. Otherwise anywhere warm and cosy. I find art easy. I find life difficult. R – Reading regrets: My TBR list grows longer and longer while the reading time left to me in this life grows shorter by the day. S – A series you’ve started and need to finish: Shakespeare’s plays! There are still several I have neither read nor seen. The James Bond novels – and the early, Sean Connery, films. W – Worst book habit: Writing notes and comments in books. 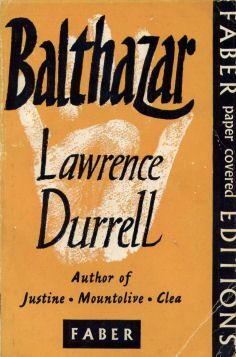 Balthazar – the second volume in Lawrence Durrell’s Alexandria Quartet, another series I love and have read right through three times – and plan to read again! Y – Your latest purchase: I take this to mean of a physical book, so Yeats’s Ghosts, the Secret Life of W. B. Yeats, by Brenda Maddox (a hardcover, secondhand, but like new). I will let you all know what I make of it! 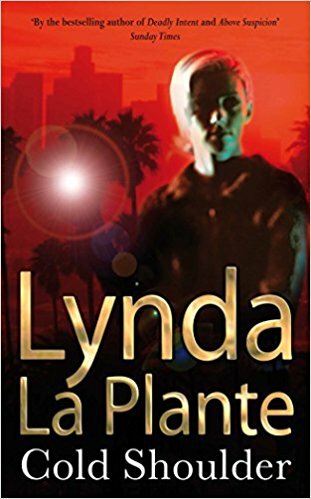 Z – zzzz-snatcher: The Cold Heart trilogy by Lynda la Plante – three books (Cold Heart, Cold Blood, Cold Shoulder), three nights up all night! 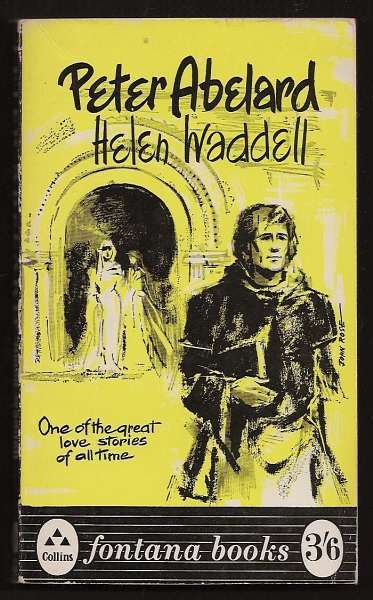 This is a love story – one of the greatest (“Abelard and Heloise” rings all the bells, like Tristan and Isolde, Dante and Beatrice, Antony and Cleopatra) and Peter Abelard, Helen Waddell’s wonderful novel, is probably the best retelling of it. But her novel is more than that, for it is also the story of Peter Abelard himself, the leading philosopher and theologian of his age and one of the great tragic figures of all the ages. ‘He [Heloise’s uncle, Fulbert] is ambitious for her, as you have yourself perceived. He bade me say that she will be at your disposal at any hour you choose.’ Gilles’ voice rasped like a saw. She [Heloise] got up quickly and crossed the room to the window, that he [Gilles] might not see her agony. And standing there, struggling to control herself, she heard behind her a small stifled sound. She turned round. He had his face to the wall, but she could see the old Silenus mask distorted with soundless weeping, the hands opening and closing in impotent despair. 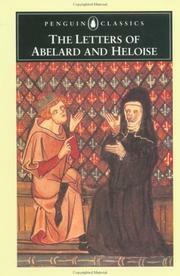 Abelard agrees to teach Heloise at home, privately. Indeed, he moves into their house, board and lodging being one of the blandishments that induce him to go along with the idea. And of course they grow close. Heloise is very beautiful, very sweet and very intelligent; Abelard is a youing man still, charming and charismatic. Then Heloise panics and runs. Abelard goes after her, searching the countryside around Paris and returns home that night in despair only to find her waiting for him in his room. He fumbled at the latch, the door fell open: he came in a step or two, bewildered by the light: she saw his eyes seeking, not yet comprehending, suddenly wild with hope. She was there at the window: he saw the small white oval of her face, the black pools of her eyes. With a little stifled cry, she held out her arms to him: he was on his knees at her feet, his head buried in her lap, his whole body shaking with a terrible tearless sobbing. […] She stooped and took his head and carried it to her breast. They have passed the point of no return. At one point, they journey back from Britanny together, Heloise disguised as a boy, and of course make love in the forest. 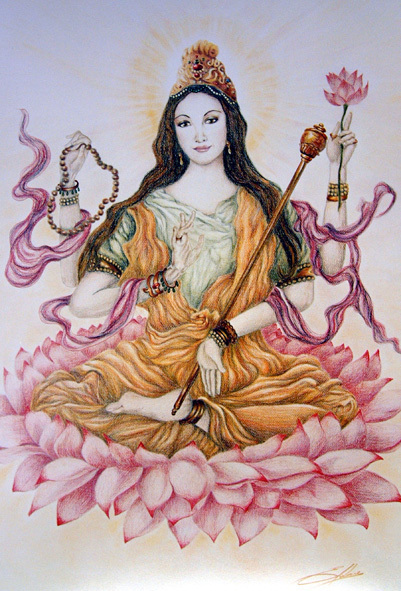 What was there in love that taught a man all the mysteries of the ancient faiths? He looked at the young creature riding ahead of him, with a kind of awe. Was that the Heloise he knew, or had Psyche become Eros …? The only person in Paris who is not aware of what is happening is Fulbert, Heloise’s uncle (Or was he really her father? – which would be ironical considering his attitude to Abelard, who was willing to sacrifice his career in the Church to marriage.) And when he does find out, it is Heloise who is against the idea of marriage. Eventually, she becomes pregnant, they compromise, get married in secret, and she bears him a son. But this is not enough for Fulbert, who has swung from guileless and doting to remorselessly vindictive: he has Abelard castrated. The end of the story, in a sense. Abelard joins a monastery, Heloise a convent (at his insistence). But he is tried at the Council of Soissons, where, in a complete travesty of justice even by the standards of the medieval Church, Abelard is sentenced after being found not guilty: his book is to be burnt and he is to be incarcerated for life. By the time his friends arrange his release, he is a broken man. He retreats with one young disciple to a hermitage in the forest, and there, as a result of a mystical insight into the nature of the Incarnation, formulates the doctrine known as the Moral Atonement, condemnned by the Church as patripassianism. [In his own words:] “How cruel and unjust it appears that anyone should have demanded the blood of the innocent as any kind of ransom. Or have been in any way delighted with the death of the innocent, let alone that God should have found the death of His Son so acceptable, that through it he should have been reconciled to the whole world ” In brief: God suffers when man or any passible creature suffers, and it is by identifying with Christ on the Cross that man becomes God. This is what places him among the ranks of the great heresiarchs. Reprinted nine times in its year of publication (1933) and in print continuously ever since, this is a book that must be read (and read again) by anyone interested in medieval Paris and/or the medieval Church, but especially by those who appreciate a marvellous and very moving love-story that has now established itself as one of the classics of the genre. But for what happens to him and Heloise later, when they reestablish contact after ten years, it is necessary to turn to another book: The Letters of Abelard and Heloise. Here we meet the new Heloise, “famed for her learning and administrative genius as an abbess,” who addresses Abelard in the opening paragraph of the first letter as “my beloved” and “my only love” and who beneath the surface is clearly still the old Heloise: in that same first letter she says “God is my witness that Augustus, Emperor of the whole world, thought fit to honour me with marriage and conferred all the earth on me to possess for ever, it would be dearer and more honourable to me to be called not his Empress but your whore“. Her love had not changed one iota.